Can anyone make sense out of what is supposed to be happening at the beginning of this infomercial? 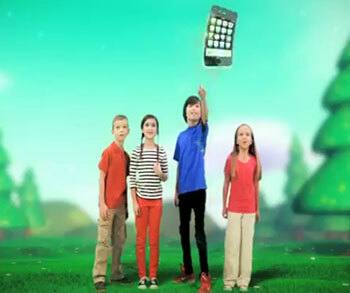 A group of four kids are playing outside when they suddenly see an iPhone (or is it an iPod Touch?) floating in the sky. This gang of pre-teens zealously chases after the iPhone, although we can’t be sure if they want to play with it or sell it on eBay. The iPhone attempts to flee for safety inside the plush confines of an Appy Pet pony. But just before the phone gets there, a girl plucks this Appy Pet from the sky and starts gleeful clutching her new animal/smartphone hybrid. According to the infomercial, “My Appy Petz are the adorable super fun pets that let you know how much they really love you.” In fact the word “love” is used 8 times in the 2 minute commercial. 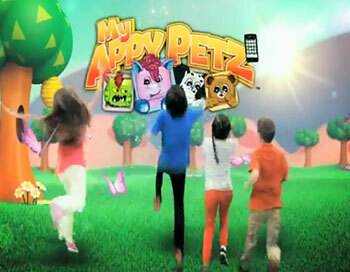 MyAppyPetz is the kind of product Casey Anthony would be happy to endorse! I don’t get it. Are there a lot of people with extra iPhones that they can give to their kids as toys? The first part of the ad looks like something Sid & Marty Krofft would have produced if they’d had CGI. 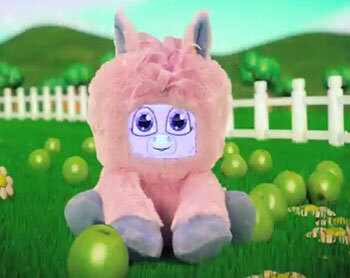 So you’re going to get your kid an iPhone just so he or she can have a cool stuffed animal to play with? That’s going to cost a lot more than $19.95! 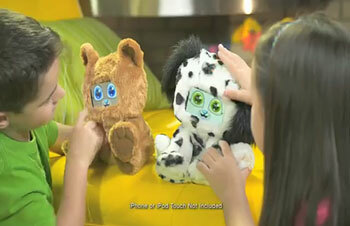 I agree I don’t get why you’d let a kid use a parents’ iphone to play with a stuffed animal. They can get a non-appy one and use their imagination.